Rep. Elijah Cummings (D-Md. ), an influential House Democrat, pleaded Monday with colleagues and incoming House freshmen to reject the efforts of a "small group" of Democrats he said is "trying to generate opposition" to Nancy Pelosi's bid for the speakership. 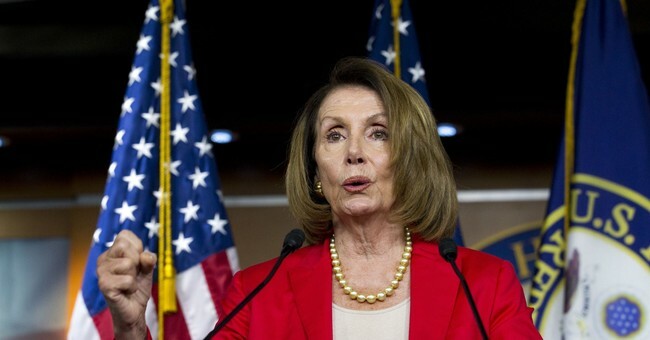 "For two years, they asserted that with Nancy Pelosi as our leader, Democrats could never win back the House. They claimed that these relentless Republican attacks made Leader Pelosi appear too divisive, and they argued that she should step aside for the good of the party," Cummings wrote in a "Dear Colleague" letter to the incoming class of Democrats. "But then last Tuesday happened. And the American people obliterated the theory that Nancy Pelosi could not lead House Democrats to victory." So, it looks like they’re stuck with Ms. “let’s clap for pre-existing medical conditions” Pelosi. Though some, like Alexandria-Ocasio Cortez, are making it known they're not going to kowtow blindly.